Fresh Baked Sweetness, that's what Bake Sales are made of. The Creative Cookie Exchange is getting into the back-to-school mode with some Bake Sale Cookies this month. 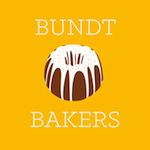 Over the years I have certainly enjoyed baking for my girls bake sales, and I loved seeing all of the creativity of the moms, dads, and teachers. Chocolate is always a sure winner with the younger crowd, but I wanted to bake something that would appeal to the parents and teachers too. I found this recipe in Dorie's Cookies and thought it was the perfect combination of flavors. These are super easy to make, and will disappear in no time. Actually the sesame crunch almost disappeared before it made it into the cookies as it was so addictive. 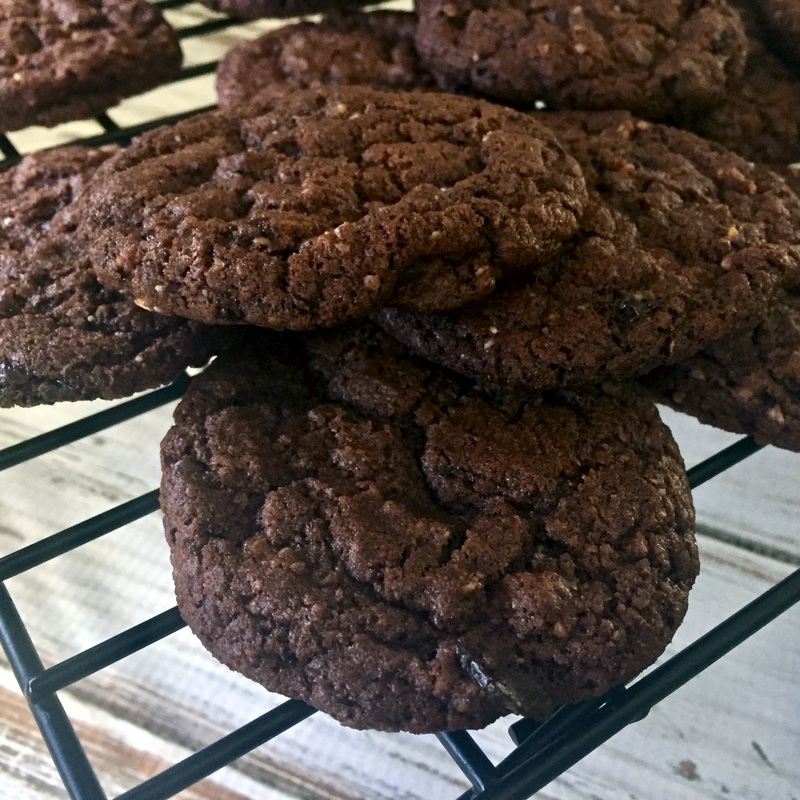 The crunch mixed into the cookies adds an extra layer of texture that goes perfectly with the chopped chocolate. A glass of milk and I was in cookie heaven. Pretty sure that these would disappear in no time at your next bake sale. 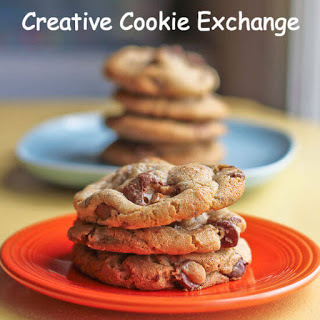 If you would like to know more about #CreativeCookieExchange and see what the other bakers made for the Bake Sale theme please scroll down below the recipe. Sprinkle 2 tablespoons granulated white sugar in the bottom of a small heavy skillet (non-stick is great here), then drizzle it with 2 teaspoons water. Place the skillet over medium-high heat and allow the sugar to come to a boil. Continue cooking, swirling gently 1 or 2 times to make are all the sugar is incorporated, until it starts turning color. 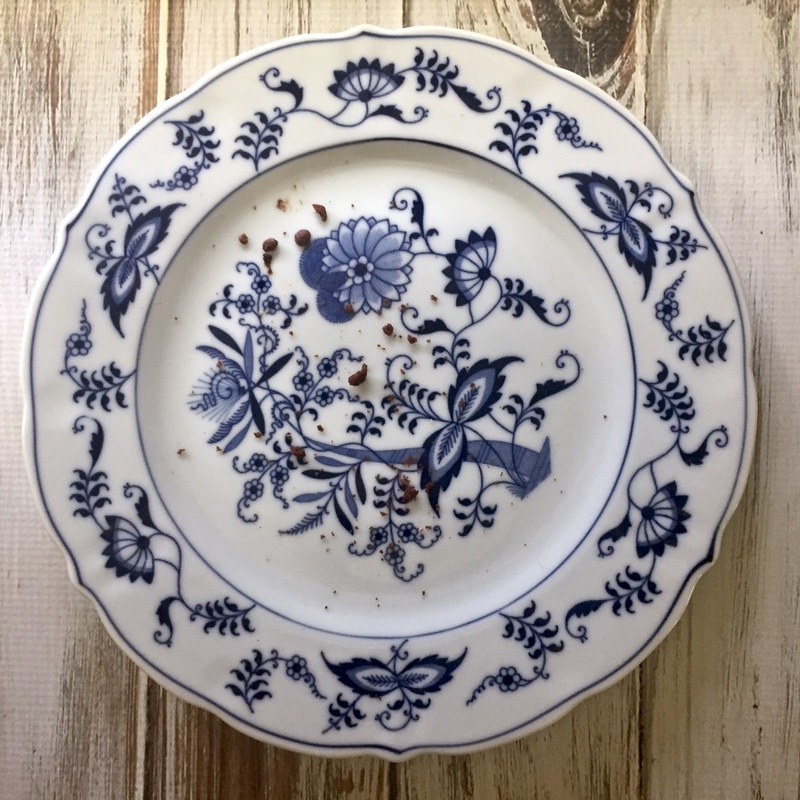 Once it is pale golden in spots, gently stir it with a silicone spatula until it is evenly amber in color (this will happen quickly, so don't turn your back), then add the sesame seeds and stir to coat. Once coated evenly in the caramel, scrape the mixture out onto your prepared baking sheet, spread it as thinly as you can manage (don't worry if it clumps) and leave it to cool completely. Once cool, finely chop the sesame crunch (you want pieces no larger than a pea) and set aside. Preheat the oven to 180℃ (350˚F) with the racks in the upper and lower thirds of then oven. In a medium bowl whisk together all-purpose flour, cocoa powder, and baking soda; set aside. In the bowl of a stand mixer add the unsalted butter, tahini, both sugars, and salt and beat until combined, about 2 minutes. Add egg and beat for another minute or so, scraping down the bowl. Add the flour-cocoa mixture all at once and stir on low speed until the dry ingredients are almost but not quite combined. Add chopped chocolate and the chopped sesame crunch and mix until the dry ingredients have disappeared and the chocolate and sesame crunch are evenly distributed. 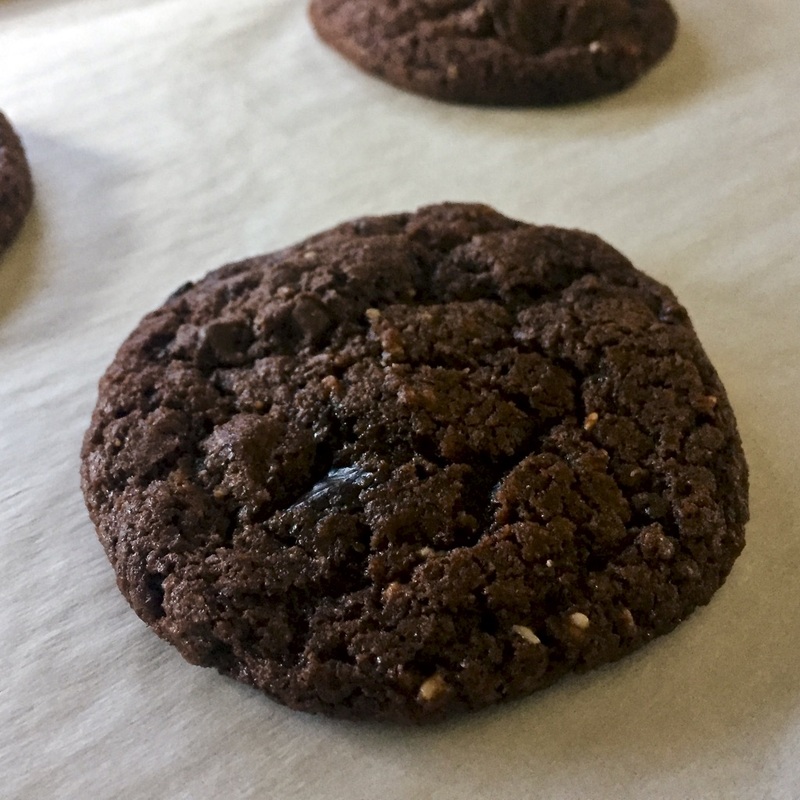 Using a medium cookie scoop, scoop out level portions of dough onto the prepared baking sheets, leaving at least 2″ between each cookie to accommodate spreading as they bake. Bake for 13-15 minutes, rotating the pans top to bottom and front to back half-way through baking, until the edges are just set. Allow the cookies to rest on the baking sheets for 5 minutes to firm up before transferring to cooling racks. If you have younger children then you know school starting back up means bake sales. So we are sharing some cookies to give you some great bake sale cookie ideas! I really need to try baking with tahini. 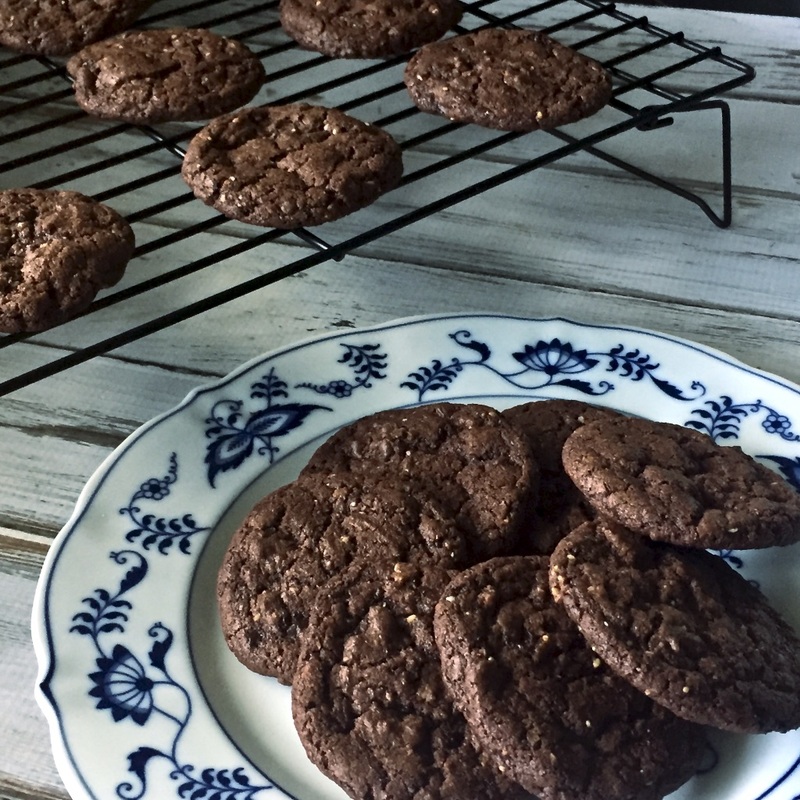 These cookies sound wonderful, and that sesame crunch is so clever! These sound so delicious, but they especially sound like the crunch gives them a fantastic texture. I love that crispy crunch. This is a great cookie!